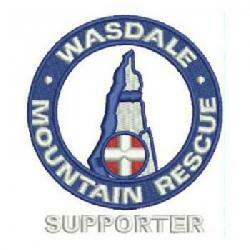 Wasdale team was called out at 10:50pm for a large search of both the Wasdale and Eskdale valleys lasting 18 hours. Colleagues from Duddon and Furness Mountain Rescue Team, Coniston Mountain Rescue Team, Kendal Mountain Rescue Team, Cockermouth Mountain Rescue team, Keswick Mountain Rescue team, Penrith Mountain Rescue Team, Kirkby Stephen Mountain Rescue Team and the Lake District Mountain Rescue Searchdogs along with air support from RAF valley helped with the search. Unfortunately a body was discovered during the afternoon, low down in the valley below Great Gable, then recovered from the mountain. Our sympathies are with the walkers family. There was a fantastic response from around the Lakes region for this incident and we’d like to pass our thanks on to all who turned out in the search effort.